Creating a collaborative ecosystem and robust infrastructure to enable AI to improve the field of Radiology and improve patient outcomes. Overhaul of IT infrastructure within the healthcare system at large. How do we speed up research without putting scientific integrity at risk. Is there a hybrid model? Dr. Chang is Professor and Vice-Chairman of Radiology Informatics at the University of Chicago School of Medicine. Dr. Chang received his B.A. from Harvard University and his M.D. degree from Stanford University. Concurrent with his medical school training, he also received his M.S. degree in Engineering-Economic Systems from Stanford. Dr. Chang completed his residency and fellowship training in Diagnostic Radiology at Stanford University Hospital. Dr. Chang is an internationally recognized expert in the field of imaging informatics and has been involved in numerous research and development projects related to imaging informatics as well as enterprise-wide informatics challenges. His early work in workstation design has resulted in presentation and navigation models that are widely used by the majority of PACS systems. While at the University of Iowa, he established and evaluated one of the first US rural teleradiology networks to provide primary interpretation. A novel lossless wavelet-based image distribution mechanism, dynamic transfer syntax (DTS), was co-invented by Dr. Chang, and enabled the development of one of the world’s first viable enterprise image distribution solutions. This technology was subsequently commercialized by the creation of Stentor PACS, which was acquired by Philips Medical Systems. This PACS system is used by several hundred hospitals worldwide and is a world-wide leader in market share. 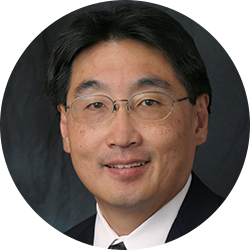 Dr. Chang has been an early advocate for deep and granular IT system interoperability to support data driven informatics workflow orchestration in radiology. He has led the development of one the world’s first Service Oriented Architecture (SOA) implementations within a healthcare enterprise at the University of Chicago. Dr. Chang has been able to demonstrate that this SOA approach can be leveraged to improve efficiency and quality in image acquisition, interpretation, and results communication. Dr. Chang has been active in the application of informatics approaches to radiology education. His research group was one of the first to describe, implement, and evaluate the use of simulation in radiology resident education. Under his leadership, along with the equally important contributions by RSNA informatics staff, Diagnosis Live, a novel cloud based interactive educational platform featuring gamification and deep analytics was developed. Diagnosis Live continues to be a very popular part of the annual RSNA meeting and is being used in residency programs worldwide. Dave Fornell is the editor of Imaging Technology News (ITN) and Diagnostic and Interventional Cardiology (DAIC) magazines. He has been covering advances in healthcare technology for 13 years. His coverage of the industry includes working with thought leaders, societies, attending about 10 medical subspecialty conferences each year and conducting hospital site visits to see how new technologies are being implemented. 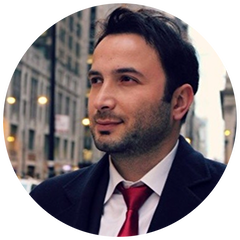 Dr. Utku Pamuksuz is a data analytics researcher with expertise in data science, business analytics, applied mathematics, and machine/deep learning. He has been teaching graduate level analytics courses at the University of Chicago and the University of Illinois at Urbana Champaign (UIUC). He has been an invited speaker including keynote sessions in academic and professional seminars in Europe, Asia, and the U.S.A. for application and development of deep learning in the areas of Finance, Strategy, Healthcare, E-Commerce and Quantitative Marketing. 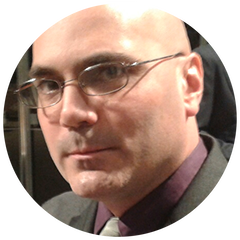 He holds Ph.D. in IS/Data Analytics from UIUC and M.S. in Computer Science from Northwestern University. Dr. Pamuksuz has conducted Machine Learning Consultancy in GLG, previously served as Senior Data Scientist in Fortune Companies including State Farm and W.W. Grainger. He co-founded Inference Analytics in 2018. He currently serve as Chief Data Scientist of Inference Analytics and MSc. Analytics lecturer at the University of Chicago.